Its strategic location, in Friuli Venezia Giulia and adjacent to Slovenia and Austria, allows the Golf & Country Club Castello di Spessa in Capriva del Friuli (Go) to breathe Central European air and spirits: as a matter of fact, the Golf Club represents a gathering point for Italian, Austrian, German, Slovenian and Croatian golfers, who meet and challenge each other in here, attracted by the charm of the place and by the mild climate, which is ideal for playing also in the coldest seasons. The languages spoken in this site are Central European too: Italian, German, Slovenian, which of course go hand in hand with English. 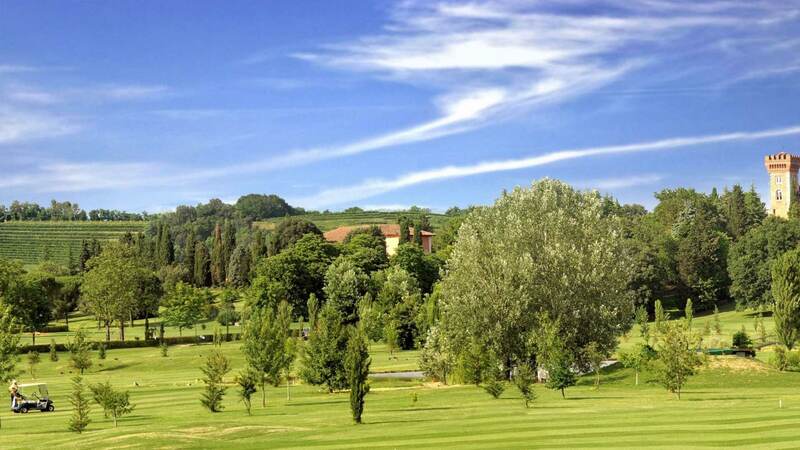 It was 2004 when architect Giacomo Cabrini conceived the golf course winding structure, designed in the heart of the Collio’s hills, well renowned for their excellent wines. It is indeed along the vineyards themselves that the 18 golf course holes wind. Several settings, which differ from one other also in the modelling of the fairways and in the extremely various structure of the holes, which are never alike. It’s a demanding course for first-class players, as well as enjoyable and not too hard for top-class ones. This region is situated in Italy's northeast and borders Slovenia and Austria. The provinces of the region are: Trieste (regional capital), Gorizia, Pordenone, Udine.